Dimensions: total height 82cm, seat height 47cm, depth 59cm, width 57cm, weight 7kg. Material: solid wood legs in bleached beech and seat equipped with sitting and backrest in multilayered, finely upholstered in fabric. Available colors: fabric sand, classic grey and saffron. Sand simil-leather. Designed by the architect Simone Micheli, exclusively for SCAB Design, the marvelous ME chair, is the result of a path of thought that goes beyond the concept of a standard chair to become the concrete representation of a new way to sit, comfortable, elegant, but still pointed at the dynamism and action. 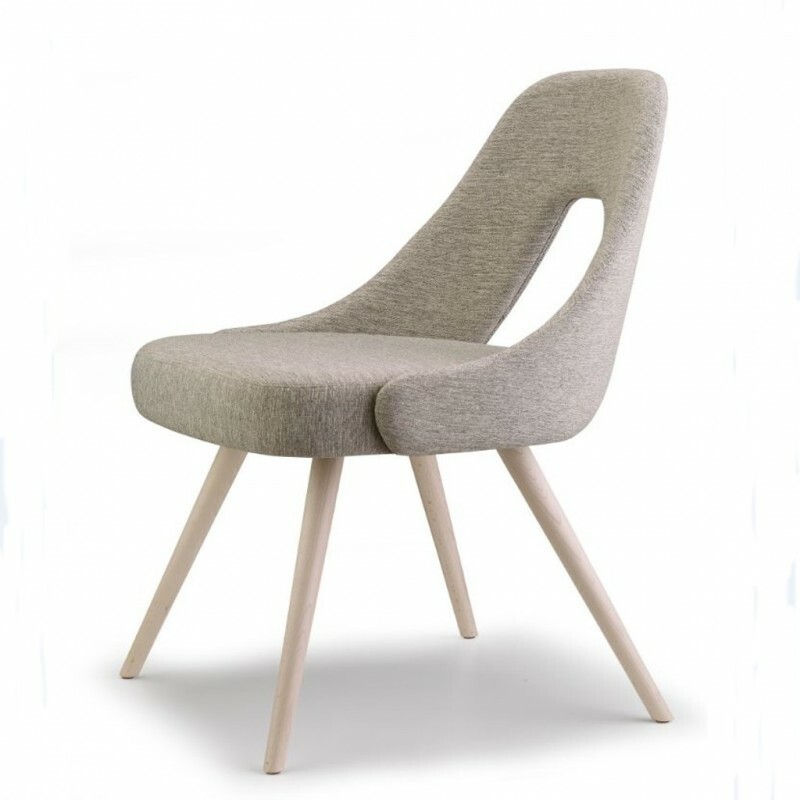 ME, is a beautiful chair with solid wood legs in bleached beech and seat equipped with sitting and backrest in multilayered, finely upholstered in fabric. An chair with simple and gentle features, who knows how to welcome the guest with sophistication and ease, skilled in adapting perfectly to the various kinds of space where can be placed. Be noted that, the skilful pencil of Simone Micheli has also been able to create a beautiful alternative with the armchair YOU, visible below in the related products. Ideal both in the domestic sphere than in contract projects.